THEODORE ROUSSEAU (1812 - 1867) stands among the great figures of mid-19th century French painting. This autumn’s major special exhibition at the Glyptotek showcases Théodore Rousseau’s richly varied life’s work, where landscape painting became fertile soil for wild innovation. 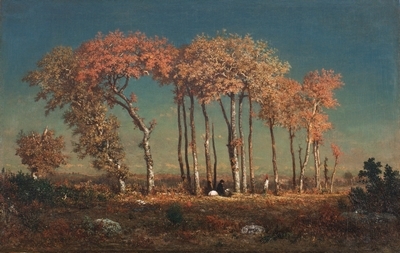 Featuring 56 paintings and drawings from 29 museums and private collections and from the Glyptotek’s own collection, this exhibition is the first large-scale presentation of Rousseau ever in Scandinavia, and the first of its kind in Europe since 1967. 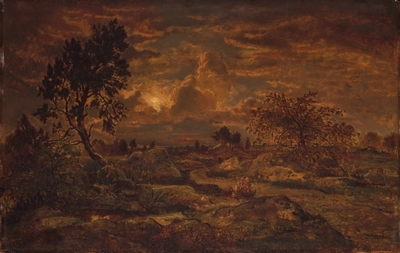 Théodore Rousseau entered the art scene at a time when landscape painting became recognised as one of the most popular and experimental genres around. 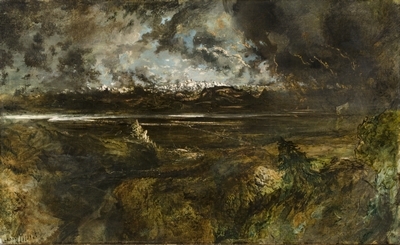 Up until this point, landscapes had led rather quiet lives on the outskirts of the art of painting, serving mainly as the backdrop of scenes from literature and history. But now a new generation of artists began working with pure landscapes. Landscapes offered infinite painterly potential with their array of natural phenomena, capricious weather and changing light. 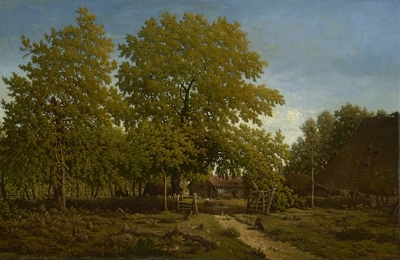 Rousseau soon proved himself to be an artist of great scope and range. But to him landscapes were more than just nature. Painting became a prism through which he could merge sober observations of nature with his own feisty artistic temperament. Clear-headed renditions of details are combined with voluptuous brushstrokes to great effect in scenes from nature where the Romantic credo about the sublime is given unbridled visual expression. Covering two floors, the exhibition demonstrates the sheer range of Théodore Rousseau’s oeuvre. Arranged in chronological order, the works on display demonstrate how Rousseau’s experiments cut across different techniques and formats, and especially how he utilized the synergy between drawing and painting. 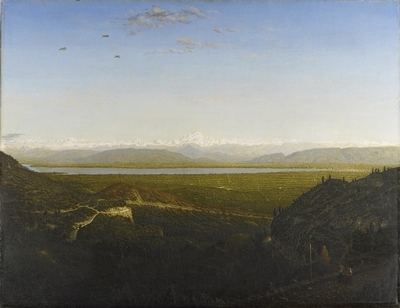 Open, receptive and explorative, Rousseau’s life’s work emerges as an extremely fruitful combination of fascination with nature and technical skill that helped formulate an entirely new vocabulary of expression within the landscape genre. The story of Théodore Rousseau’s career is of such stuff as myths are made on. 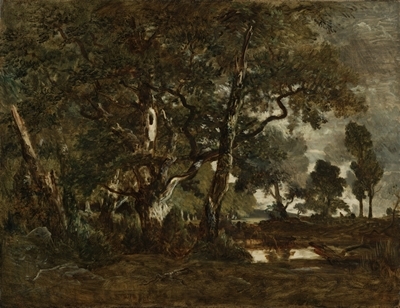 Having been repeatedly met by chilly reception and rejections from the Paris Salon, Rousseau chose, in 1841, to entirely boycott this uppermost tier of the official art scene in France. A daring move that would usually have tripped up any artistic career. Yet things turned out differently for Rousseau. His absence became synonymous with the growing dissatisfaction with the Salon, and he was soon celebrated as “le Grand Refusé”. With political winds blowing in his favour, Rousseau was able to make a carefully staged comeback, casting him as a heroic martyr who not only conquered the art scene, but also won a seat on the Salon jury. Demand for his art rose rapidly soon afterwards – and did so at a time when the commercial art market began emerging in earnest. Soon his works were sold at dizzying prices, and far into the 20th century his artworks were among the most highly sought-after among museums and private collectors.